It’s also free through the 18th, 99 cents after that, at Amazon. Blurbage: Between work, family, and national security obligations, it’s been years since Diana and Will Landreth have been able to plan a romantic getaway. Now they’re finally escaping…but the Disruption Machine crosses their path. Will they be able to capture the Machine and still have a romantic moment? There’s a few landmarks in this story. While Diana and Will are the main characters, I’m also showing you a little bit about Sarah Stephens as well. 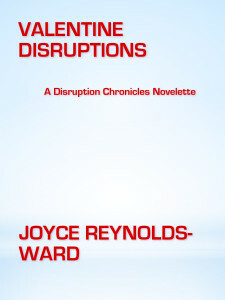 Valentine Disruptions is part of a new series of short stories, “The Disruption Chronicles,” about the effects of the Disruption Machine and its pursuit/capture on my characters and the world around them. When any place on Earth can be subjected to an unexpected, devastating, attack from a war machine with abilities above any known technologies, including the ability to deliver mutated quick-acting viruses, nerve gases, and radiological poisons, what does that do to attitudes, economies, and governments? I’m rather reluctant to dive full bore into writing a single book about it because every time I think about the idea, I bounce back. It’s a big concept, obviously. But it’s something I need to wrap my brain around because it’s foundational for the Netwalk Sequence books I still have planned–because the Gizmo is the Disruption Machine, captured, and the capture of Gizmo plus subsequent fallout is what broke Sarah, not to be repaired until after her death and Netwalk resurrection. I first started poking at this idea in a Netwalk Foundations piece, Lucifer Has Fallen. That will come out in a revised version sometime this spring. I also plan to address the creation of the Corporate Courts, the alienation of Diana and Sarah, the death of Anne Whitman, and some other things in these shorts. I just can’t do them as a book. It’s too big, and…too many short arcs. They won’t come out in chronological order, either. However, I do plan to put them together in an omnibus and at that point they’ll be in chronological order. Oh, and I finally figured out how one goes about creating a plain background in Gimp. This will speed up cover production mightily, especially for these short pieces where I don’t have much of a picture selection to use for the cover. I need to play with graphics more, but where the time will come for that…who knows? Time to head out for the day. Have fun, folks. Oh, and I’m beginning the serious outline blocking for Netwalk’s Children today. The Disruption Chronicles are crucial for my understanding of Children, helping me understand why I’ve been blocked for so long on that story. Now…it’s time to write it. Title says it all, came in at over 10,000 words. Of course when I start writing a romance, there ends up being bangety-bangs, pew pew, and lots o’ angst and family drama. Isn’t that the best type? “What do you want, Francis?” Diana asked, hoping to draw attention away from her mother if Sarah was actually carrying a weapon in her gloves. She could be. God, she hoped Sarah carried a weapon up her sleeve. “No!” Will and Sarah said together. “Then you’ll die,” Francis said. “Starting with Diana and Sarah.” One of his skimmer gun turrets began to whine open. “You ever think about who and what restrains me from doing my worst?” Will’s voice was dead and cold, reminding Diana of how his father spoke when issuing deadly threats. “You dance to the Third Force’s tune.” The skimmer gun turret door stopped, half-open. “You got rid of your father’s weaponry. You’re still under indictment because they don’t trust you.” Was that a trace of uncertainty she heard in Francis’s voice? The skimmer exploded faint moments before the light completed its arc. Light flashed back to the Machine. Diana whirled and raced toward Will and the X-57. A second, smaller blast detonated over the Machine, overloading her sensors after the previous explosion so that the world went black. This one was close enough to shake through her body. But the X-57 links held. So it still existed. Will? The X-57 would protect him, wouldn’t it? “Text links dead,” Will rasped, his voice still carrying that cold overlay. “Brenda, tear that skimmer wreckage apart for any traces of a body. Diana–” The coldness dominated Will’s voice but she heard the faint thread of pain. “I–” he gasped. Will held himself upright as she joined him, studiously not leaning on the X-57 except for one hand locked around a grip the war machine had made. Diana groaned as she saw the crack in his face shield, a gash in the suit. Blood trickled from both nostrils and his entire body quivered. 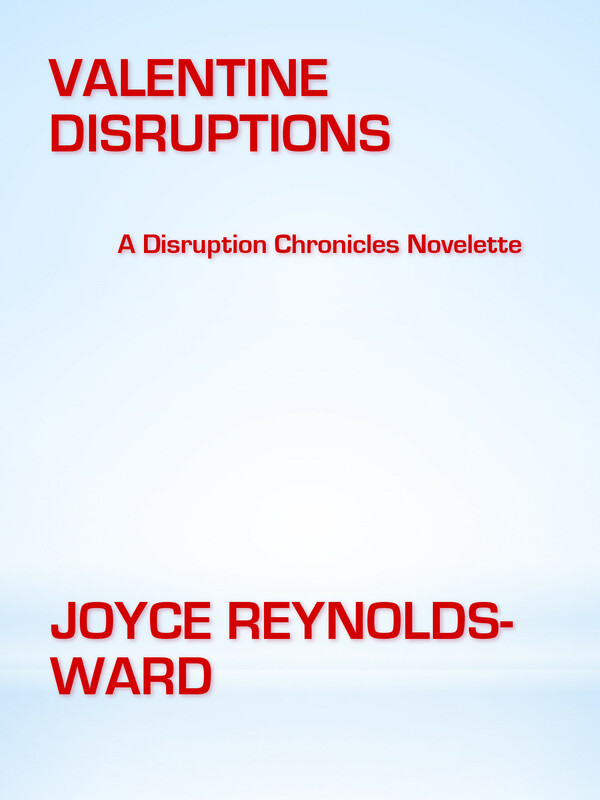 “The X-57’s shielding me as long as I hold this grip,” Will said, his voice cold and far away, the tone she recognized now as Will the weapons designer keeping a hard lock on his own body’s weaknesses in the face of a life-threatening situation. The hard lock that had kept him alive during weeks of torture in the Petroleum Autonomous Zone. Just a few of the words from today. Diana and Will were supposed to get away from the kids on a much-needed Valentine’s date. But, well, stuff happened. Two hours later, Diana followed Will up the draw, Brenda’s team fanning out to the sides with weapons locked and loaded. Will concentrated on his tablet’s tracking device while Diana and Brenda handled the comealongs for both the X-57 and the Disruption Machine. Diana also monitored the local transmission networks. She’d tried to send a personal message to Chen but the EMP, while localized, had taken down the Mei-lein networks in this section of Northstar. She had to settle for text over voice and hope that Chen picked up the careful nuances. Someone will be out to check soon. They had to get to the X-57 and the Disruption Machine before Mei-lein. Diana wanted that data. For safety’s sake, they needed to reach the X-57 before anyone else did. The war machine still carried netspiders and despite Will’s best effort to teach it otherwise, its programming often reverted to defensive mode when deployed in capture and retrieve mode. Usually their contracts explicitly stated that either Will or Diana needed to be on the retrieval team. But this wasn’t a retrieval job, and if there was one thing that Diana knew about how Chen Ti?rén thought, she knew that he wouldn’t overlook the sudden disruption of a local network. Nor would he let the presence of a Landreth war machine stop him from claiming the prize that the Disruption Machine represented. Besides the stated multi-figure award for capture, there was the information that this device must be carrying. She wanted that information for Do It Right. Not to give away to Iron Man Chen. “Halt,” Will said as his tablet pinged loudly. He scowled. “It’s up there.” He pointed to the top of the twenty-foot cliff they stood under. “We can do that,” Brenda said. One of the local networks taken out by the EMP quivered back into life. Diana ignored Will and Brenda as she traced the connection. Will nodded. Red wheeled, Brenda at his side. Diana and Will fell in behind Brenda and they headed back down the draw at a jog trot, Security tight around them. “How much have we lost?” God, she hoped it hadn’t reverted completely to the old Landreth structures. “Won’t know until I get my hands on it. I’m thinking the crash didn’t help things, either.” He switched coms. “Brenda. Let’s go up here.” He waved at the steep hillside. Diana looked at it and groaned inside as Brenda and Red smoothly swung around to angle up the slope. Hope my bum knee can keep up. Fortunately, Brenda slowed the pace and she didn’t twist her leg too badly as they climbed. Her com buzzed as they reached the top. Diana checked her messages. One from her mother, another from Chen. She took Chen’s message. Advice taken. Will follow your direction. Good. He still remembered her discreet codes from Vietnam. She’d referred back to the incident with failed Landreth chips which had turned bioremediation bots into netspiders. But that message had come from too close a location for her comfort.